The practice of Dr. Barry Belgorod fits all types of contacts, including lenses for astigmatism, bifocal contacts, and gas-permeable rigid contact lenses. Dr. Belgorod and his custom contacts nyc solutions works with new contact lens wearers to educate them on the proper care, handling, insertion and removal. Follow up appointments will be made with Dr.Belgorod to ensure a healthy, successful fit. The contact-lens industry is booming with innovation and is moving faster anyone could have imagined. 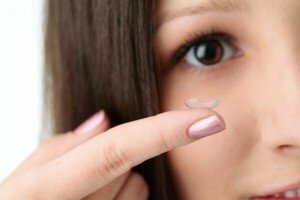 Amazingly, contact lenses that were considered premium only five years ago, have left the market and been replaced by newer models and upgrades. The most recently developed premium contact lenses are made of silicone, which allows more oxygen to penetrate the lens and the cornea. This advancement has caused lenses to not only last longer, but to also sustain the health of your eyes. Many patients who could not tolerate the comfort of contact lenses are once again trying them with new-found success. With an excellent contact lens exam including a selection of the best contact lens for your eyes, even a person with dry eyes, or astigmatism can comfortably be fit. Additionally, newer bifocal contacts have emerged that are giving patients back the lost ability to shift their focus between near and distant objects (Presbyopia). For first time contact lens wearers Dr. Belgorod will provide you with one on one personalized contact lens instruction and care. Since contact lenses actually rest on the surface of the eye, we will provide a series of tests yearly to determine your eye health and evaluate your vision correction. This is important to maintain your best possible eye health and visual acuity. We offer a large variety of contact lenses to suit your lifestyle. Toric, Yearly replacement, Bifocal, Gas permeable, and Colored.